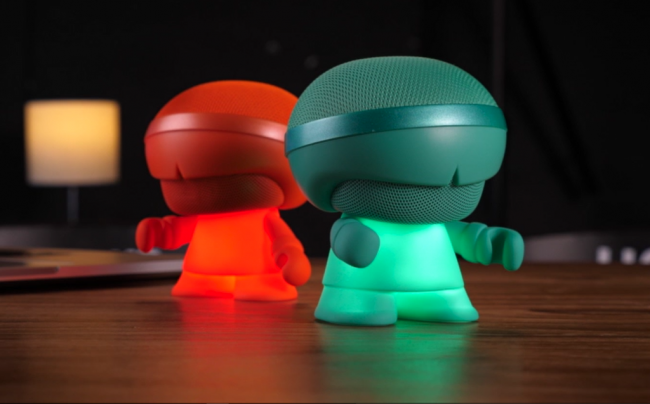 Xoopar (pronounced Zoo-par) took to CES this year in Vegas to announce the launch of their signature XBoy Bluetooth speaker line, which is meant to help users find the joy in technology with a different approach and design from the industry standard blocky Bluetooth headphones. 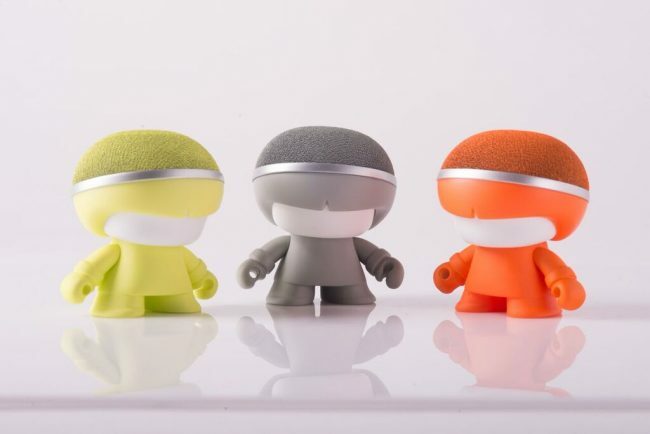 Released in three-tiered models, the Mini Xboy, the Xboy Stereo, and Grand Xboy, Xoopar is inspired by the toy art culture, brings a bit of a different flair with its charming design and stellar features and color choices. The Mini XBoy is obviously the smallest version of the Xboy collection, but don’t take it for a slouch. Standing three-inches tall, the Mini Xboy comes with a 3-watt speaker to match its frame and is perfect for tossing in a purse or bag for a quick trip. Also included are multi-color options for faceplates (Orange, Black, Gray, Pink, Mint, and Lime) and a travel strap so you’ll never lose it. Xboy’s Stereo is the mid-tier option that is five inches, and come boasting 10-watts of audio included. 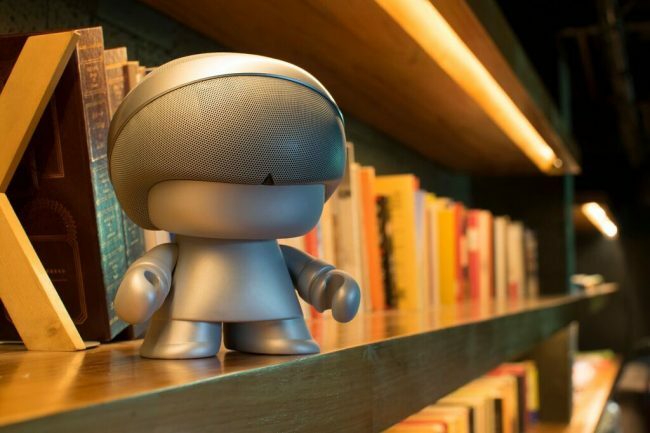 Large enough for a nightstand or your kitchen, but small enough to still be portable, the Xboy Stereo comes with six hours of play time, and you can pair it with another XBoy for multi-room functionality. What’s more, this comes in similar colors and includes an additional 3.5mm audio cable. If you’re looking to bring the party to wherever you are, go with the Grand Xboy. Standing eight inches tall, the Grand Xboy features two powerful 10-watt speakers and an extra three-watt speaker for a complete 360-degree listening experience. With eight hours of continuous playback, the Grand Xboy is available in Black and Silver. All three products will be available later this quarter, and you can check them all out by visiting Xoopar’s site.